Time to drop everything and head to your nearest Starbucks store! Check out Starbucks Sip, Shop, Save Promo. 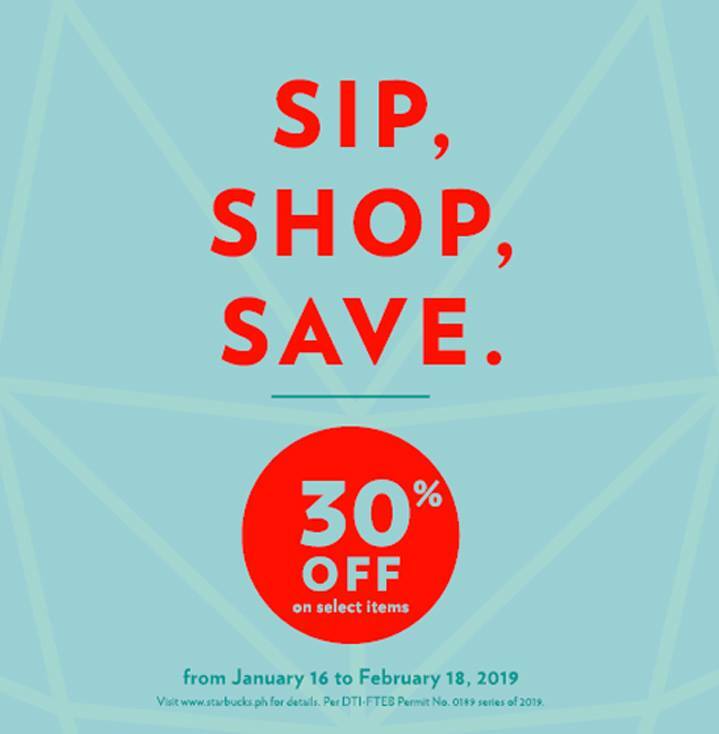 Get select Starbucks Christmas merchandise at 30% off until February 18, 2019 only.